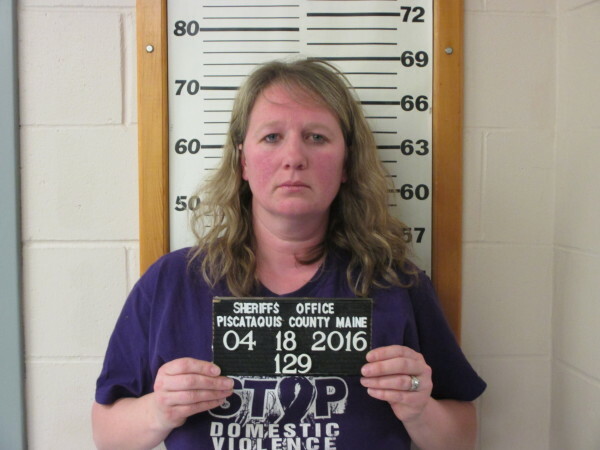 SANGERVILLE, Maine — A local woman charged in connection with the firing of a gun during an argument with her husband in their bedroom is due to appear at the Piscatquis County Judicial Center on June 6, according to the district attorney. Emily Wilson, 38, of Sangerville is charged with domestic violence reckless conduct with a dangerous weapon, a Class C crime, and domestic violence assault, a Class D crime. Wilson has not been arraigned on the charges because she has not yet been indicted by the Piscataquis County grand jury, which next convenes in June. She was arrested April 18 and posted $200 cash bail, Piscataquis County District Attorney R. Christopher Almy said Tuesday. Wilson and her husband got into an argument in their bedroom on April 18 over his allegedly having an affair, according to Almy. During the argument, she waved a loaded .45-caliber handgun about before firing a shot into the mattress of their bed, the prosecutor said. The gun and a shell casing recovered from the floor under the bed were seized as evidence. The gun fired during the incident belonged to Wilson, Almy said. Wilson also allegedly grabbed her husband’s wrist during the argument. The husband, who is not being named because he is a possible victim of domestic violence, called the Piscataquis County Sheriff’s Office to report the incident who called the Maine State Police to investigate, Almy said. Wilson is an employee of SAD 4 in Guilford, according to the prosecutor. Efforts to confirm that with Superintendent Ann C. Kirkpatrick were unsuccessful Tuesday. A teacher Web page on the district website lists an Emily Wilson as a social studies teacher at Piscataquis Community High School. Her other duties listed on the page include: Key Club advisor, tennis coach and field hockey coach. If convicted on the more serious charge of domestic violence reckless conduct with a dangerous weapon, Wilson faces up to five years in prison and a fine of up to $5,000. On the domestic violence assault charge, she faces up to a year in prison and a fine of up to $2,000.